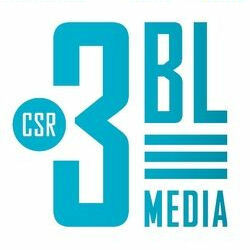 3BL Media oversees a family of global content distribution networks and editorial platforms for organizations promoting earth first initiatives, corporate responsibility, ethics and sustainability. CSRwire is a press release distribution newswire for corporate social responsibility (CSR) and sustainability. CSRwire.com, along with Justmeans.com, SocialEarth.org and 3blmedia.com, are all part of the 3BL Media family of companies and platforms, raising awareness for CSR and sustainability initiatives around the globe.